Seed capsules by Woot. 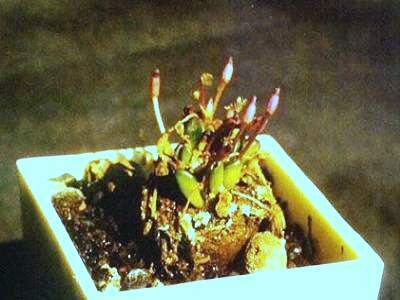 This member of the Portulacaceae family was described by Neville Stuart Pillans in 1927. 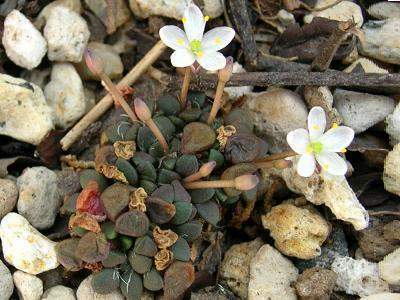 It is found in Southern Africa, growing in grit with little water and lots of sun. The caudex can grow up to two centimetres in diameter, the whole plant up to six centimetre. 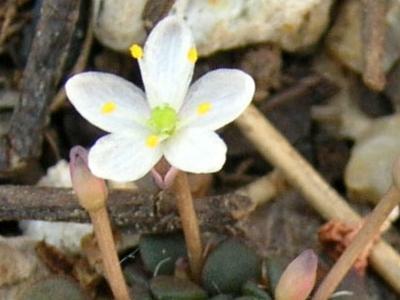 The flowers are white to pale pink. Ripe seed capsules by Woot.